Particles III - Advanced Particles and Lightning is a two (or three? Or five!) 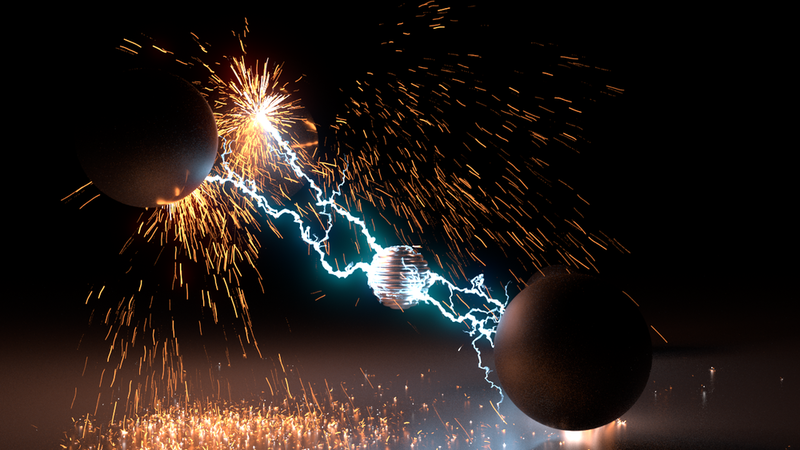 in one lesson covering a wide variety of visual and technical topics surrounding the creation of lightning style energy bolts and photorealistic sparks! 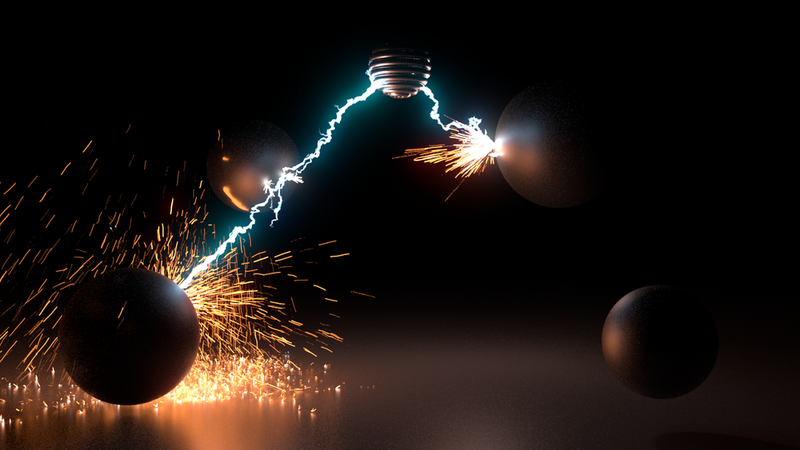 We will cover how to accurately portray the sub-frame curved motion blur necessary to make sparks look their best using advanced geometry manipulation skills, as well as build up an algorithm for art directing energy tree structures that track objects in the scene. Sparks will fly, source, collide, split, blur, and illuminate in this action packed lesson! More than sparks and lightning, this lesson covers glowing scorch marks too! Look at all that cool lightning!